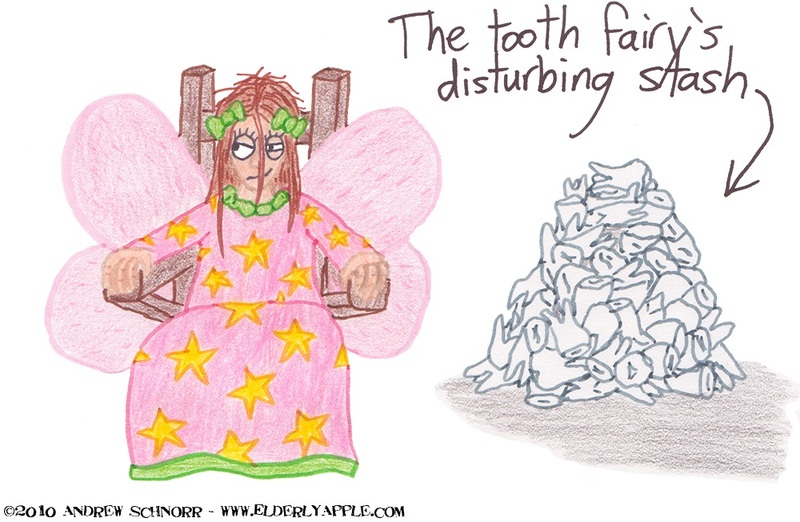 Also, I think this brings up a good point about the whole tooth fairy mythology. Just what is she supposed to be doing with all those teeth. Seems kinda pervy if you ask me. You know, I think this brings up a good question - what's better: forcing children to live in the real world or constructing a delusion for them only so that they may be disappointed with the world later? i think the better question is: where does her wings end and the chair starts. but yeah, all beloved childhood characters (tooth fairy, santa, easter rabbit) are all about the same thing: strangers who come to your house to give you gifts. creeeepyyyy. Not at all the dainty little sweet fairy I have always envisioned. Thank a lot!